How fast is the Prometheus Gen II? How much does the Prometheus cost? How easy is it to set up the Prometheus Gen II? How easy is it to change charge weights or powder types? Can the Prometheus Gen II be used with a progressive press? Is there an instructional video? This answer depends on several factors, including but not limited to, proper setup and operation, powder type, and the user's manual dexterity. It is common to be able to drop a charge, seat a bullet in that case, then pick up another case and have the Prometheus already finished and waiting on you. What is very hard to put into words, yet is obvious to anyone that uses a Prometheus, is how stress-free this is when compared to any other method used to perform this task. You are not a two-armed material handling robot concentrating on all the necessary tasks required to perfectly throw and weigh a charge. You simply pick up a case, verify the charge in the Prometheus display window, cycle the machine, seat a bullet, and repeat. All the stressful operations are done for you. We've been told by customers that they used to spend some time every evening for a week to load up for a match. Now they spend less than half that time and family life is much better for them! Please see the "Pricing" section of our website in the navigation menu above. At first glance the Prometheus can be intimidating. After a bit of practice most people can't believe how simple it is. It's really just a powder measure, a beam scale, and a trickler. Most of us already have experience with these. The Prometheus simply combines them in a symbiotic manner by adding some plumbing and an automatic control system. Changing the desired weight can be accomplished in less than 30 seconds. You simply adjust the two poises (balance beam counter-weights) and re-adjust the powder measure to the desired charge weight. Changing powders requires you to empty the powder measure on top of the machine, as well as emptying the trickler in the front/top of the unit. The trickler or trickler plate required will be determined by the powder you are using. The entire operation takes a few minutes and is easy to do. 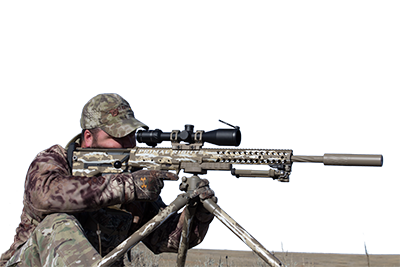 As shooters we understand that precision is different than accuracy. Accuracy is when all of our shots land exactly on our point of aim. Precision is when a string of shots all land on each other, but are not on the desired point of aim. The Prometheus is typically within 0.1 grains of the desired charge weight the scale is set to. This means if you adjust the scale to 40.0 grains, it will typically produce a charge within 0.1 grains of the setting. However, where the Prometheus really excels is repeating the same charge weight, over and over again. We are not aware of a more sensitive mechanical scale being built on the planet today. It is quite literally able to dispense a powder charge precisely to the nearest kernel of powder. The Prometheus was primarily designed for stick powder, but we do offer a vibratory trickler for ball and flake powders as well as very tiny stick powders such as IMR 8208. The primary trickler will work best with powders that have uniformly sized kernels such as Hodgdon Extreme extruded powders. Other powders with non-uniform kernels can also be used, but they may present specific issues that may need to be overcome. Yes, a number of our customers have installed them over a Dillon 550 which is likely the best route to go, as by manually indexing the shell plate you are less likely to spill kernels as it indexes. It will require a bit of carpentry and plumbing, but it is not a challenging project for anyone who is a bit of a handyman. I named this device Prometheus about a decade before the popular movie came out, and back then I got this question a lot. Prometheus is a Titan from Greek mythology who is perhaps best known for stealing fire from the Gods and giving it to man. Given the function of this device, I thought the anology appropriate. 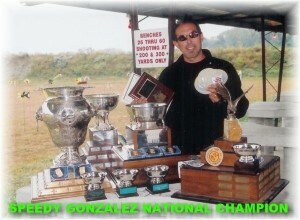 As you know my real name is not "Speedy" Gonzalez but "Thomas" Gonzalez and I live up to both names, "Speedy" for shooting fast and "Thomas" for doubting how thing work until I check them out personally, never taking anyone's word for quality or function unless I have actually tested or used the item myself. In fact all my students have head me say over and over again "I assume everything is always broken unless I check it first!". The "Prometheus" and its latter generations was such a device. You and I have known each other for quite some time and I have seen your measure evolve from a "Rube Goldberg", "Mouse Trap" looking device to the "Gen II" that looks like it belongs on a Death Star planet killer. Most people who own one never have the opportunity to compare one to another or do not have the high quality scales to verify thrown weights over several hundred charges to establish a mean. 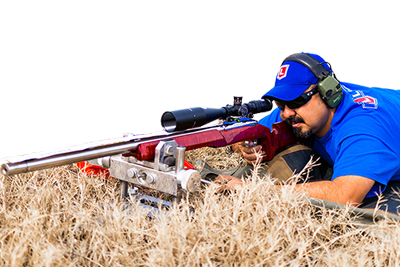 I have began to migrate from the short range game of benchrest slowly into the the long range aspects of shooting and have come to understand how critical a single grain of powder has become and how paramount its effect is to shooting or competing at any extreme distance. At this point in time I have three of your "Prometheus Gen II" measures at my disposal and two Denver Instruments magnetic force restoration scales, a SI-64 and a PI-114 that resolve into 0.001 of a grain (In Metrology to speak of any number, be it dimension, weight, or velocity, the instrument used must be capable of discriminating 10 times finer than the number you wish to report on accurately). After two years of testing and comparing three of your Gen II measure's, I am happy to report that such an investment proved to be worth the money and time involved. The Prometheus Gen II if set up correctly and maintained per your instructions is capable of nearly one thousandth of a grain accuracy, with the only thing keeping the measure from that capability is the variance in the individual grains of powder. If I were new to any extreme distance shooting and setting up a budget, I would for the price of a good scope have to include a Prometheus in my my program to ensure consistent ES's and SD's in my reloading program. Thank you for all the help along the way, great customer service is just as important as a great product and you furnish both. "The Prometheus Gen II has allowed me to absolutely eliminate all uncertainty from the powder charging aspect of my reloading process. It is an invaluable piece of handloading kit that has proved its worth a hundred times over. Tens of thousands of rounds per year of nearly daily use and it has not failed to impress." The Prometheus II is one of the best investments I have made in my shooting career. Expensive electronic scales can match the accuracy, but not the speed. Speed equals time saved reloading, time saved equals time at the range, and time at the range equals a better shooter. If you are serious about shooting, get a Prometheus!